With the Converse Chuck Taylor being one of the most universal shoes of all time, it can be easy to overlook the shoe’s humble beginnings. 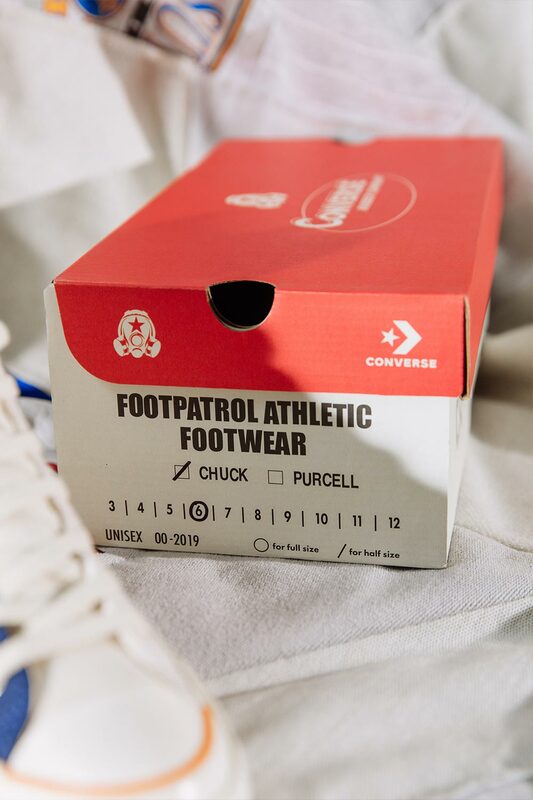 Originally starting out as a rubber manufacturer, Converse quickly turned their sights to the sporting world and began producing footwear for athletes. 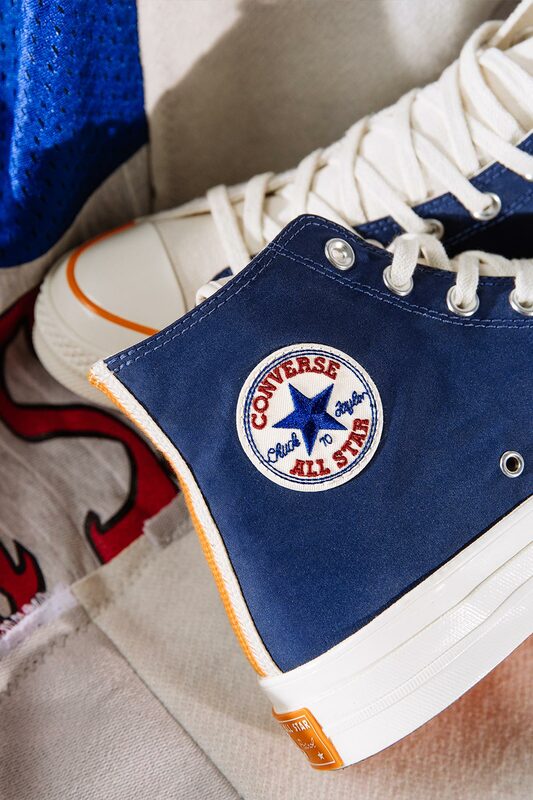 In 1922 the classic high top silhouette caught the attention of semi-pro basketball player, Charles ‘Chuck’ Taylor, who approached Converse with some design ideas. 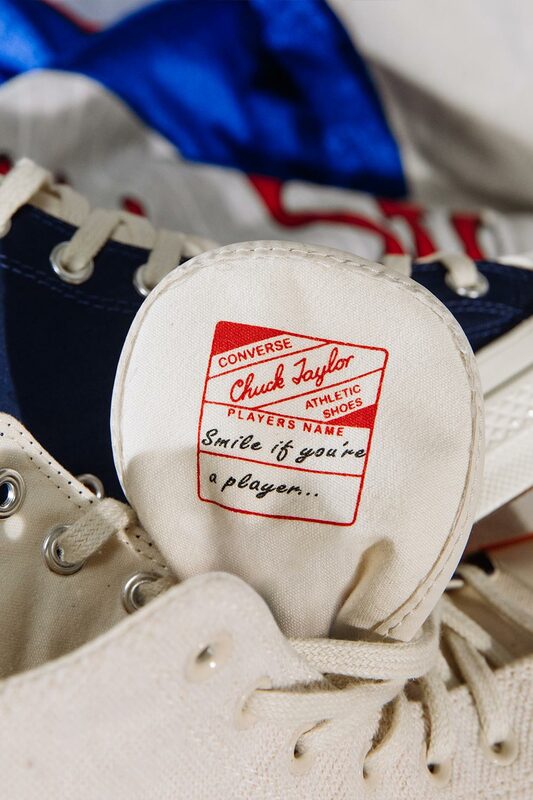 After a quick redesign (which included adding Taylor’s signature to the heel-tab), the Chuck Taylor was ready to hit the courts. In order to get in on the feet of the right people, Converse and Taylor went around America to schools, colleges and gyms teaching people the fundamentals of basketball. 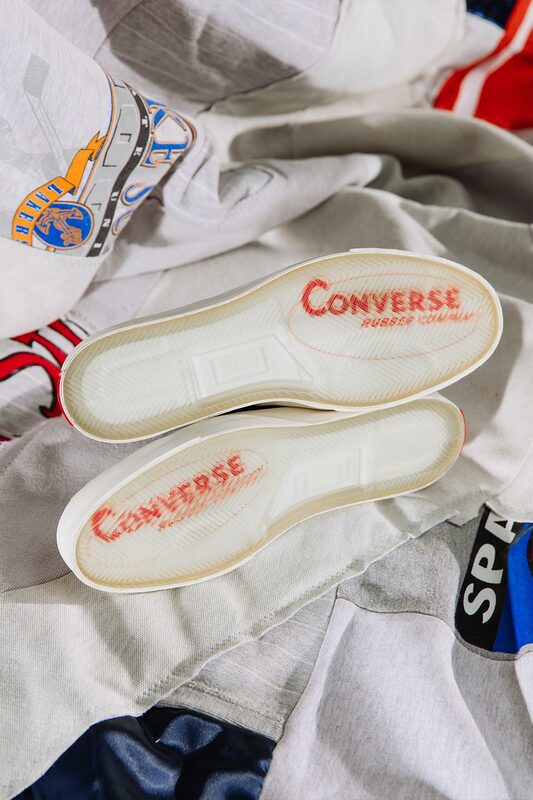 Converse quickly became synonymous with the sport, however overtime they began to transcend this perception and speak to a much wider audience. 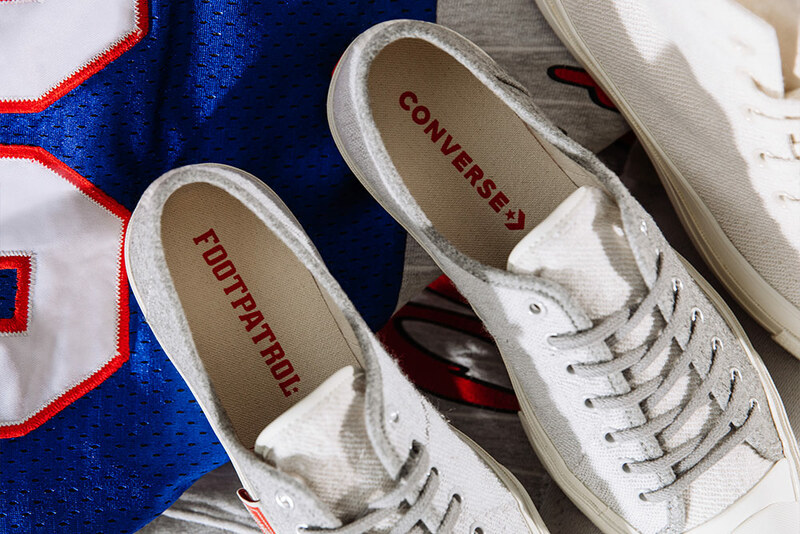 Converse began to represent Americana and personify the collegiate background it came from, influencing generations to come. 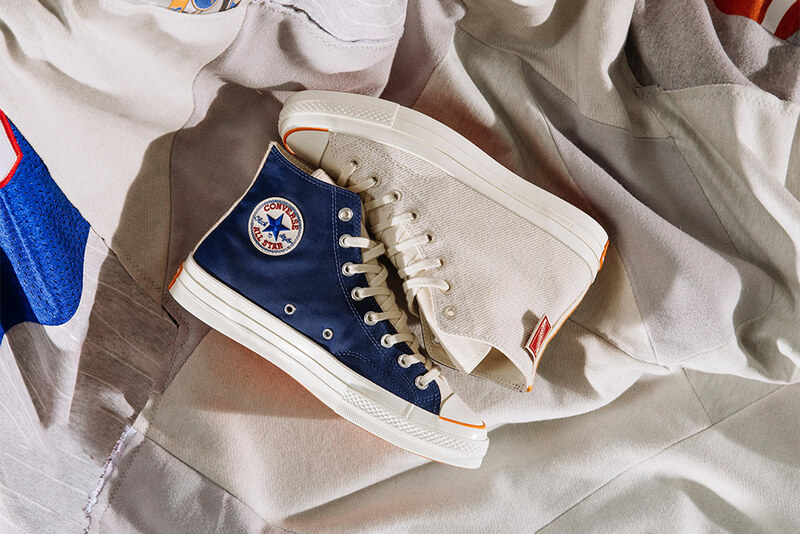 For our Spring collection with Converse we wanted to tap into this history, and produce something that felt truly authentic. 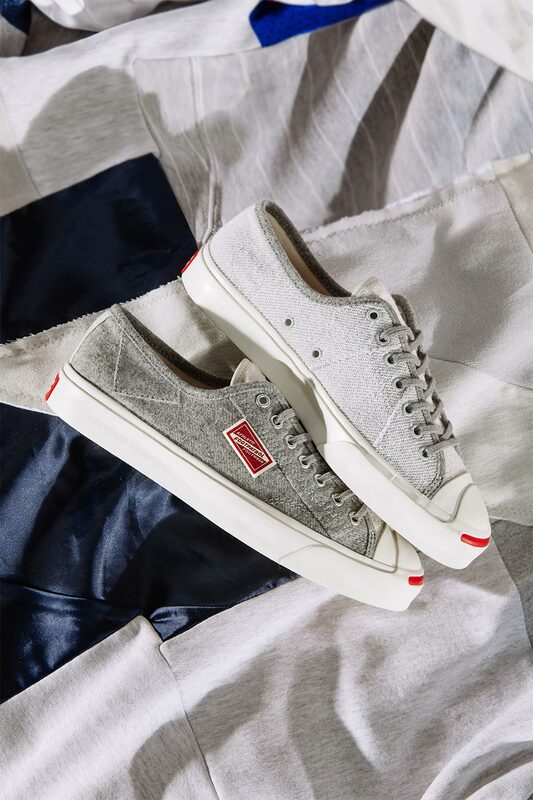 To do this we channeled the aesthetic of vintage collegiate wear and Americana, in various different ways throughout the collab. 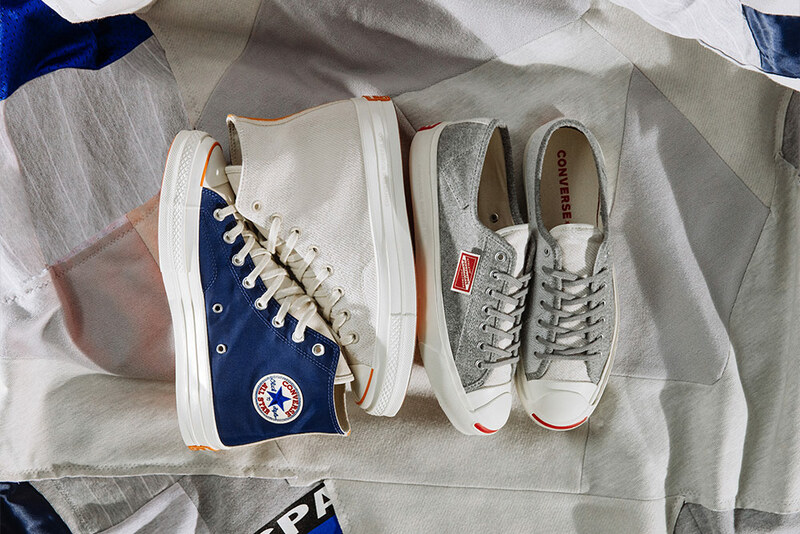 The Converse x Footpatrol Chuck 70 is constructed with an asymmetrical loopback fleece and satin panelled upper, to resemble that of sportswear warm up apparel. The silver eyelets are a reference to the popper fastenings found on coach jackets. 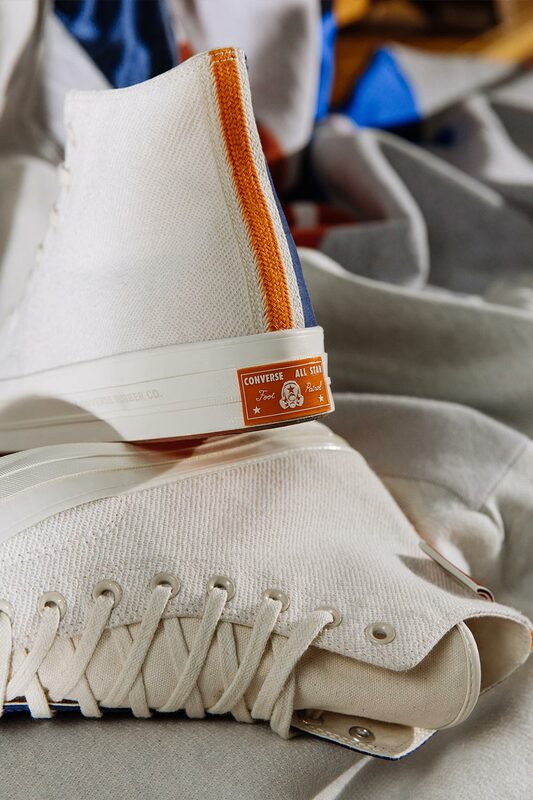 Other details such as the ‘Converse Rubber Shoe Co’ branding on the heel, embroidered Converse badge and co-branded heal label, all of which are throwbacks to vintage Converse models. 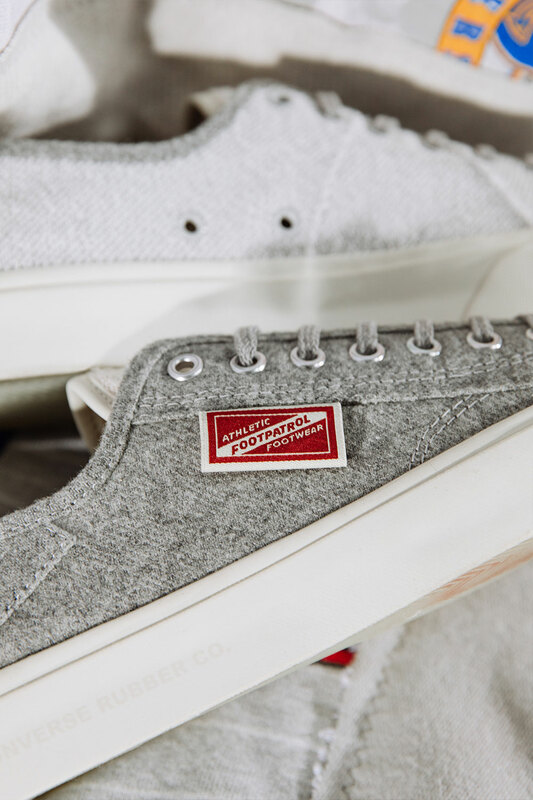 In our collection we have also included the Converse Jack Purcell model, which was first introduced to the world by a Canadian badminton player of the same name, in 1935. 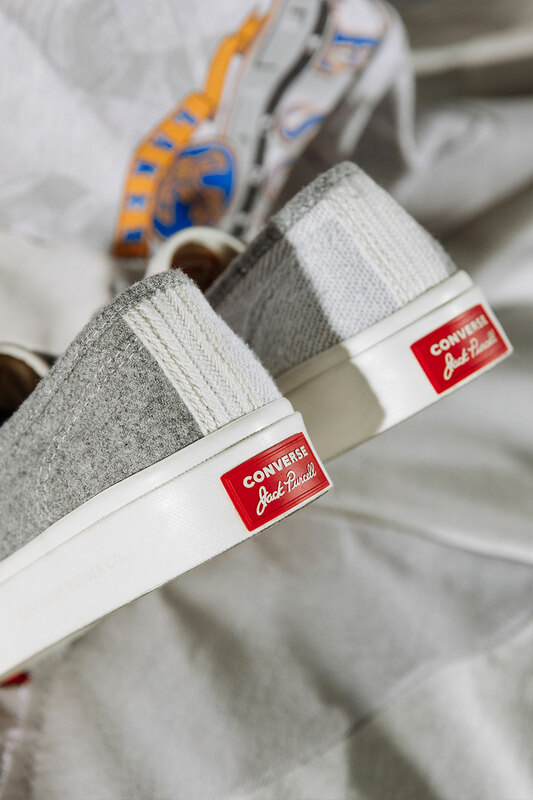 Similar to the Chuck 70, the Converse x Footpatrol Jack Purcell also features an asymmetrical upper featuring loopback and woollen materials in a two-tone greyscale. 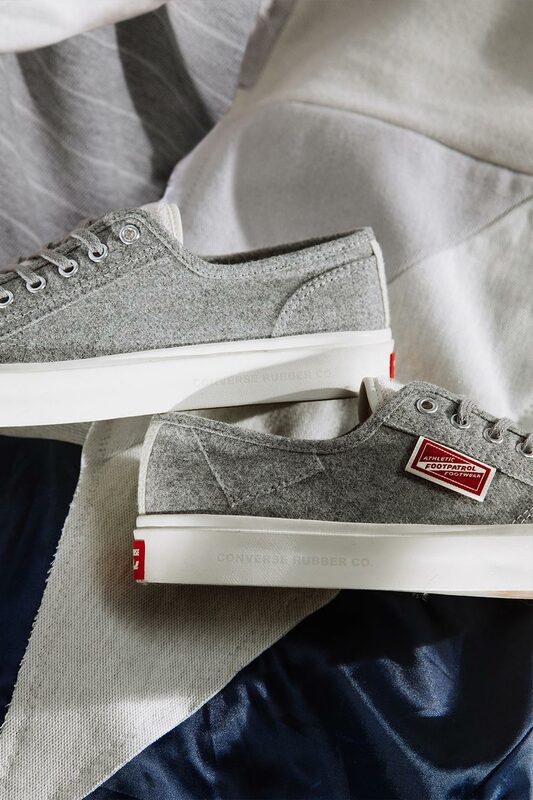 Continuing with the reference to apparel, the Purcell is a nod to the sweats worn off the court. Leather trim around the tongue continues the varsity theme paying homage to the leather sleeves opposing the woollen body. 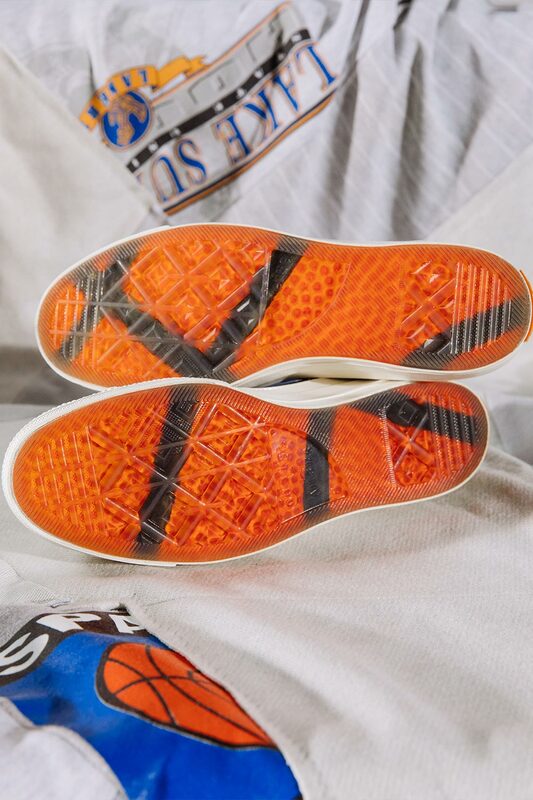 The lateral side features a patch overlay as a nod to the construction of a varsity jacket. 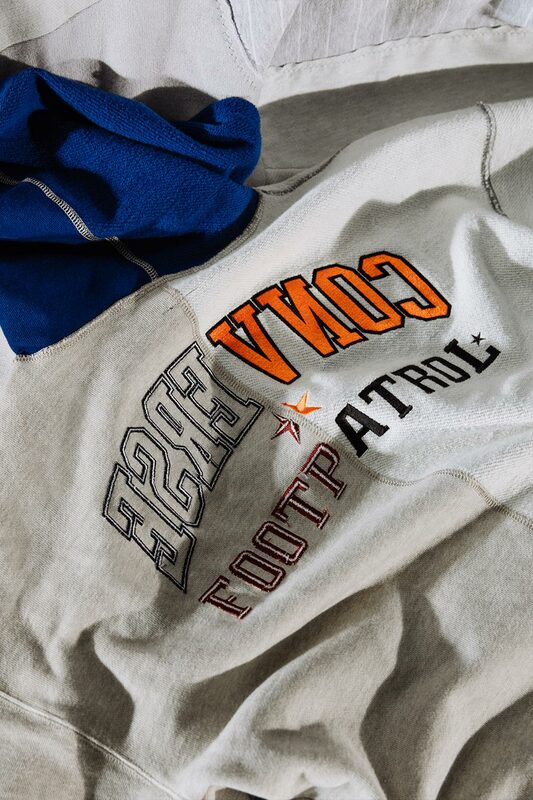 To sit alongside the two pieces of footwear we have produced a co-branded Split Pullover Hoodie. 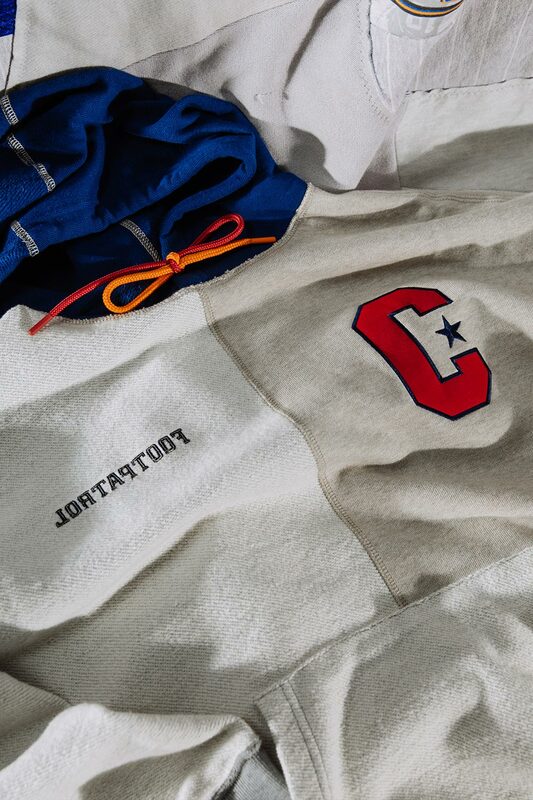 In keeping with the theme of the collection, the hoodie has been constructed using contrasting material, which not only carries the vintage aesthetic, but means it can also be worn inside out. 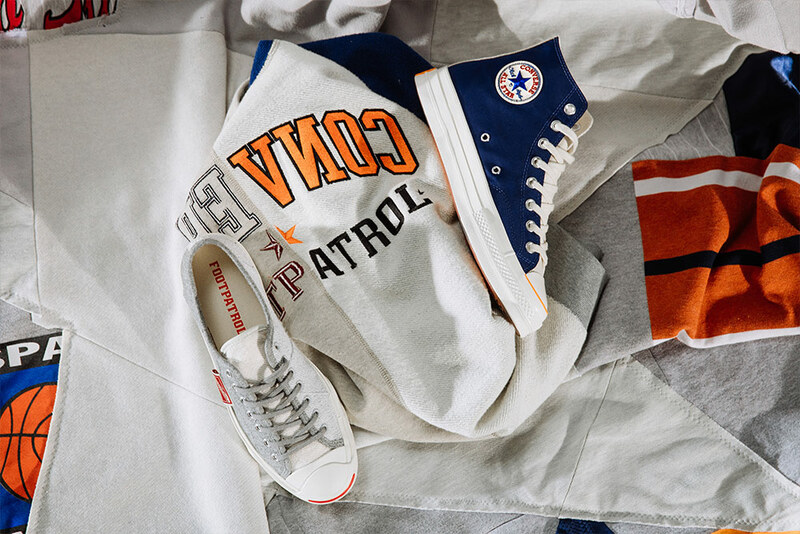 The Converse x Footpatrol Spring Collection will be available Saturday 6th April at 12:00AM on Footpatrol.com, and in-store from Saturday 6th April at Footpatrol London and Paris. The Converse x Footpatrol footwear & apparel is Now Available in-store and online, priced between £80 – £110.